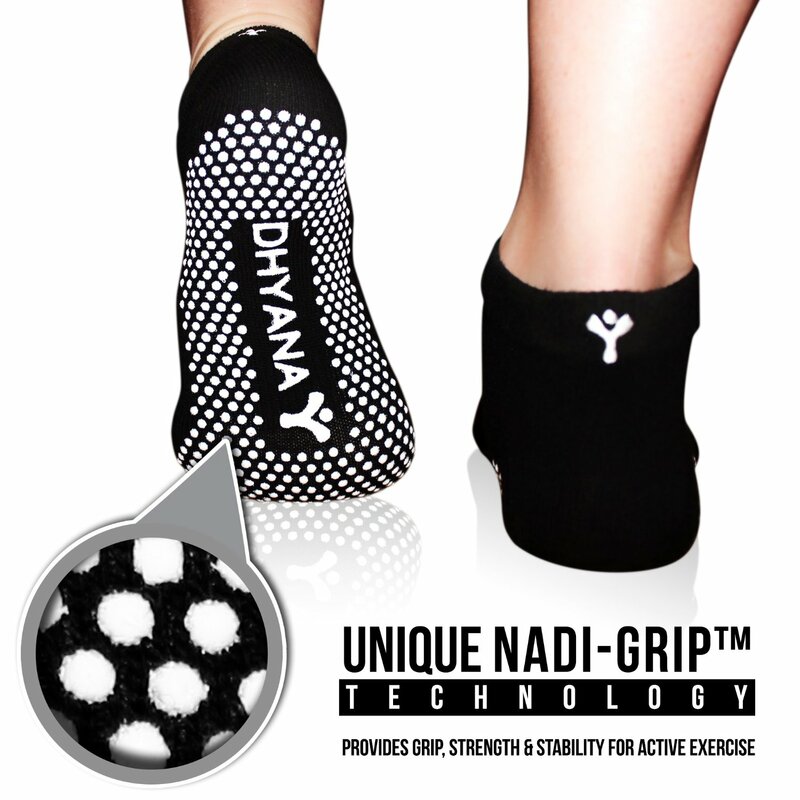 I just tried out these great yoga socks from Dhyana Fitness. Yoga is one of my favorite ways to exercise. It is just so calming and relaxing and if you are like me I hate exercising so anything that doesn’t feel like exercise is a plus in my book. One thing that I dislike when doing is yoga that in some of those poses it’s so hard to keep your feet from slipping. I am also cold! So I hate taking my socks off but doing yoga with socks on doesn’t usually work out. So I was super excited when I saw these yoga socks!! They fit great, each toe is individual so you can get a good fit and still have flexibility in your toes when doing your yoga poses. They have grips on the bottom so you don’t slip at all when posing. They are made form a great stretch and breathable material so they are long lasting and allow your feet to breath while you are working out. I love them so much I wear them around the house too! It comes with a bonus yoga video series as well which is great if you want to do yoga but they don’t offer at your gym or you just don’t want to do all those crazy yoga poses in front of other people! You can purchase these great yoga socks on Amazon!